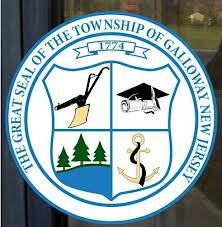 Galloway Township has posted the Agenda for their 2013 Reorganization Meeting. The Township will hold their meeting on Wednesday January 2, 2013 at 6:30 p.m. The Meeting will be held in Council Chambers located at 300 E. Jimmie Leeds Road. The agenda also lists Regular business to be held and voted on right after the Annual Reorganization Meeting. The Township advertised the meeting in the Press of Atlantic City, December 3, 2012. According to the Agenda, Council will nominate and select a new Deputy Mayor. Councilman Tony Coppola Jr., currently serves as the Deputy Mayor. That position is selected annually by a majority of Council. Mayor Don Purdy will serve his second year as Mayor. Purdy who previously served as Deputy Mayor in 2010 and 2011 under former Mayor Keith Hartman, was selected by Council in 2012 to serve as Mayor for two years ending December 31, 2013. GallowayTwpNews.com previously reported and released the Diversified List of Professionals that submitted Requests for Proposals in order to receive an appointment by Galloway Township Council. Positions such as Township Solicitor and Township Engineer are contracts that could potential yield a significant monetary gain to those selected. In reports obtained through Open Public Records Requests, the Township Solicitor's position pays an average of $150,000 annually. Council in 2012 raised the budget line for Legal fees to $200,000. Between former Solicitor Michael Blee and current Solicitor Michael Fitzgerald, the Township paid approximately $115,000 in 2012. The Township's Engineer position depending on development and capital projects, could pay approximately $750,000. Some years according to reports, the Engineer could be paid just shy of a Million Dollars annually. Reports released by Township Clerk Thalia TC Kay on Friday, show Township Engineer Kevin Dixon being paid approximately $145,000. As the reported released is not in line with other reports we have obtained, we have asked the Township Clerk for a more definitive amount and reporting on those figures. We will update the article once we receive those figures. The Agenda for the meeting is listed below.